Polyurea University™ offers the following options for students unable to attend for any reason. Please contact us by email or phone to initiate the refund/credit transfer process. Polyurea University™ reserves the right to cancel up to 21 days before the scheduled training is to begin due to low registration. If an event is cancelled, registrants may receive a full refund of payments for course fees and supplemental material, or Polyurea University can transfer your registration fee to an upcoming training class. If you do not enroll in another class within one year, the payments and fees will be forfeited. Polyurea University reserves the right to cancel or reschedule a course or part thereof at any time. In the event Polyurea University has to cancel or re-schedule a course, attendees will be offered an alternative course date or the option to withdraw from the course and a credit/refund issued if appropriate. We cannot take responsibility for expenses incurred by the customer as a result of the cancellation or re-scheduling of the course. If you contact Polyurea University 21 days before the start date of a class you’re scheduled to attend and request to be moved to a different class date, there is a $45.00 fee. A) in advance of 30 days prior to the class: the registration fee is refundable, minus a $45.00 service charge, or you may select a full credit towards a future training class or event. B) is received from 29 to 17 calendar days prior to the class: the fee is refundable at 50% minus a $45.00 service charge, or you may select a full credit towards a future training class or event. C) is received 16 or fewer days before the class: you may only receive credit towards a future training class or event, minus a $45.00 service charge. No part of the payment/fees can be refunded with fewer than 16 days notice. If you do not cancel or attend, you are still responsible for the payment. All credits for future classes due to your cancellation are forfeited if you do not attend another class within one year of your first cancellation. 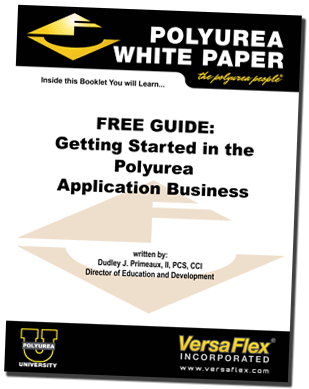 Under no circumstances is Polyurea University responsible for reimbursement of any kind.